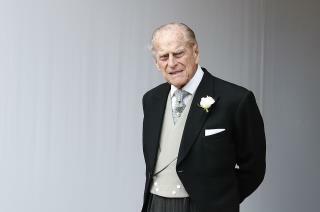 (Newser) – Prince Philip will no longer be behind the wheel—at least not legally, the BBC reports. The 97-year-old duke, who was recently involved in a car crash, has "taken the decision to voluntarily" give up his driver's license, says Buckingham Palace. "The duke is reported to have acknowledged that the collision last month was his fault," per a royal news correspondent. "There was a fair deal of criticism of his decision to drive just two days after the crash. Now he has chosen to give up some of his independence and will have a driver from this point on." Philip also wrote a letter to the other driver—Emma Fairweather, who broke her wrist—that's been published in the Sunday Mirror. When my grandfather turned 85 he screwed 2x4's into his garage floor with cement screws to guide him in/out and hung a tennis ball so he would know when to stop (when it touched the windshield). Seemed pretty terrifying. Its hard to give up everything because of age and if it was sun glare he was right. You cannot see. But they have a lot of land so he can drive around the estate if he chooses.